This is the last of Danielle’s most excellent West End Target the Tour Training series. Since April 9, the riders have worked hard and this Sunday is a chance for a bit of a rest with 3 distances: 45, 60 and 77km. Riders who want a longer ride can choose to double one of these rides. Sub-leaders will be required for the 60 and 77km rides and the 45km will be broken out of the series as a beginner’s pleasure ride. Confused? 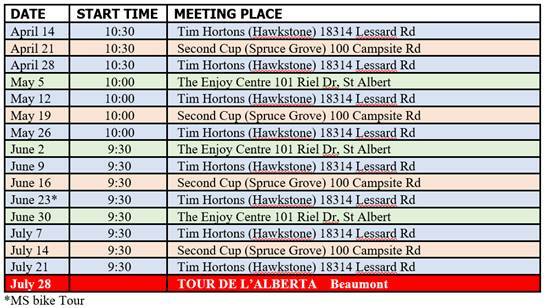 Meet at the Enjoy Centre, break into ride groups and be ready to enjoy a great morning cycling NW of the Edmonton! See the attached pdf for distances and maps. 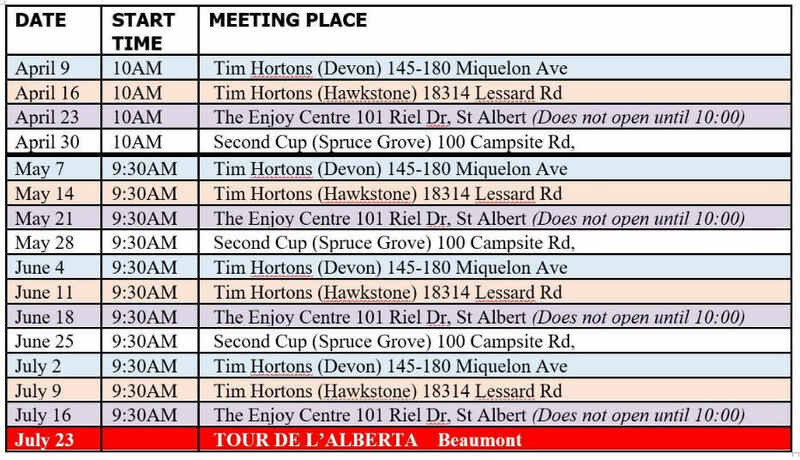 2017-07-16: Rides from the St. Albert Enjoy Centre (pdf with maps). 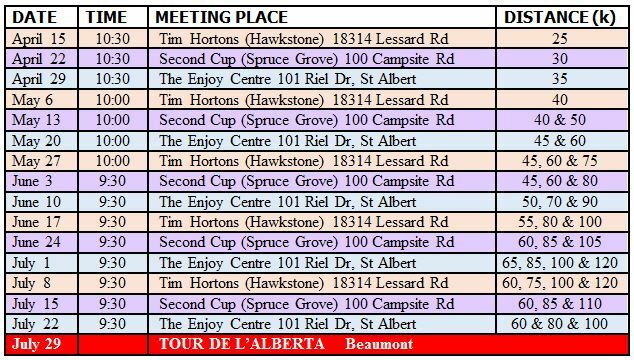 West End TtT ride starts April 9 at 9:30 and will run weekly at rotating locations to be announced in the e-newsletter each week. Please arrive 15 minutes ahead of trip departure for important trip information.